Can you imagine a world with whales that could walk and giant earth moles? They both lived on Earth long ago and their relatives still live here today. 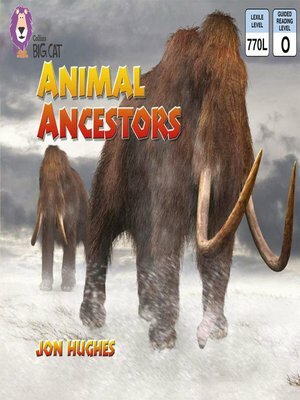 Explore the terrifying, giant, strange ancestors of everyday creatures, in this captivating information text, illustrated with realistic imagery from Jon Stuart. Can you imagine a world with whales that could walk and giant earth moles? They both lived on Earth long ago and their relatives still live here today. Explore the terrifying, giant, strange ancestors of everyday creatures, in this captivating information text, illustrated with realistic imagery from Jon Stuart. Gold/Band 9 fiction offers developing readers literary language and stories with distinctive characters. Ideas for Guided Reading in the back of the book provide practical support and stimulating activities.